Acne is often seen as an annoying but temporary affliction predominantly suffered by male teenagers. Euphemistically referring to blocked pores as ?blackheads? should not distract from the fact that some types of acne are classified as serious illnesses and inflammatory processes in the body. Some of the more serious types also frequently lead to scarring. The most common type of acne that is caused by hormone changes in puberty and therefore disappears even without treatment when maturity is reached around the age of 20, is a so-called endogenous syndrome, in other words: a disease pattern caused by the body itself. This is also true for acne caused by metabolic imbalances at a later stage in life ? as an endogenous disease pattern it will disappear along with the underlying problem. Considered a lot more serious are exogenous types of acne that can lead to the formation of fistulas or lumps and are very difficult to diagnose in terms of their origin. There seems to be a direct correlation between the disease pattern and physical condition and life style of the patient. As a consequence, an improvement of the condition can in most cases only be achieved through life-style changes. Many external remedies don?t bring the hoped-for relief but tend to have the opposite effect instead ? especially if they trigger allergic reactions, for example, that aggravate the condition. 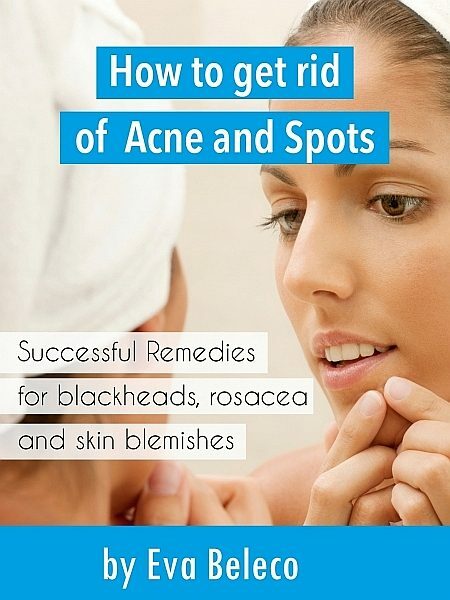 For these reasons it can be very difficult indeed to get rid of acne, spots and blackheads. Most acne sufferers have made the discovery that simply buying a new ?miracle ointment? is an expensive but ineffective option. So what is Plan B? Try alternative treatment methods or get a prescription for Roaccutan from your dermatologist? People who don?t know what suffering from acne is like often belittle the problem. After all, there are other illnesses that are far more serious or even life-threatening. It might well be true that people with a chronic condition or even an incurable illness would much prefer to have acne instead. However this doesn?t mean that this skin condition should be taken lightly. Just imagine you had been involved in a road accident which left you with many scratches and cuts, both minor and major, to your face. Cosmetic surgery has hardly made any difference ? each time you look into the mirror you have to face those deep cuts and scars in your face. How would you feel whenever you met people or left your house? Without shadow of a doubt you would feel self-conscious because of those scars and your disfigured face, in particular when dealing with people directly. You think that everybody will recoil in horror when they see your injuries. People suffering with severe acne feel just like that. They feel disfigured. Every time they look into the mirror they just see their acne ? and ignore whatever other qualities they might have. They often feel that other people see them in the same light as they see scarred and disfigured accident victims and are convinced that people just notice their defects and nothing else. Naturally this is hardly ever the case. As a rule, acne sufferers are much more self-conscious than those surrounding them. But nevertheless the feelings of acne sufferers should be considered a lot more.